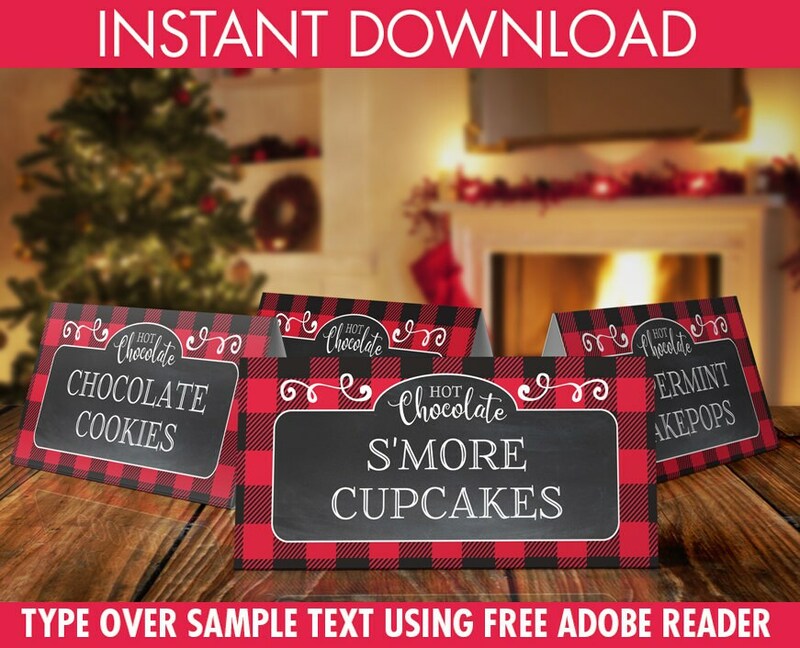 (¸.·´Warm up your party with this Hot Chocolate Bar Collection, by SimplyEverydayMe. There are a few parts of the collection that are EDITABLE, but most of it is ready to print. 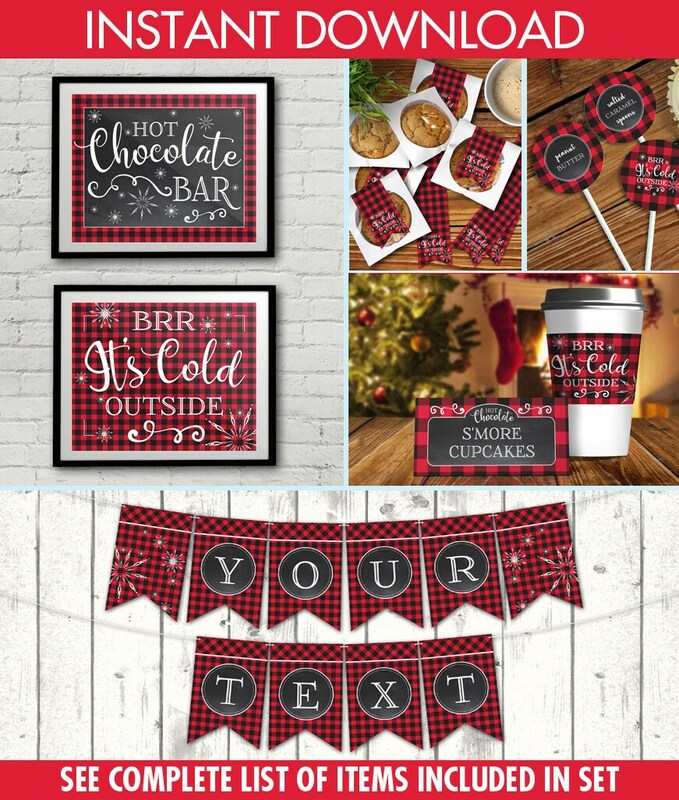 This Hot Chocolate Bar Collection Includes: Chocolate Bar Sign ★ Brr It's Cold Outside Sign ★ Cup Wraps ★ Straw or Cupcake Flags ★ Editable Text Table Tents ★ Editable Text Water Bottle Labels/Wrappers ★ Editable Text Banner (type your own banner message) ★ Banner with Art ★ Editable Text 2"Circle Logos ★ 2"Circle Logos ★ Chocolate Kiss Circles ★ Cupcake Wrappers (regular size) ★ Bubble/Napkin Wrappers ★ Cookie Labels ★ 2 Coordinating Papers ★ Information for materials needed & paper suggestions ★ Plus a tutorial for editing the text with the free Adobe Reader. NOTE: Invitations are NOT included with this collection. Each printable page fits within an 8.5”x11” letter or A4 paper. 110lb cardstock is recommended on most of the party collection pieces. With this kit you may print as many as you need. For best results, use the free Adobe Reader. 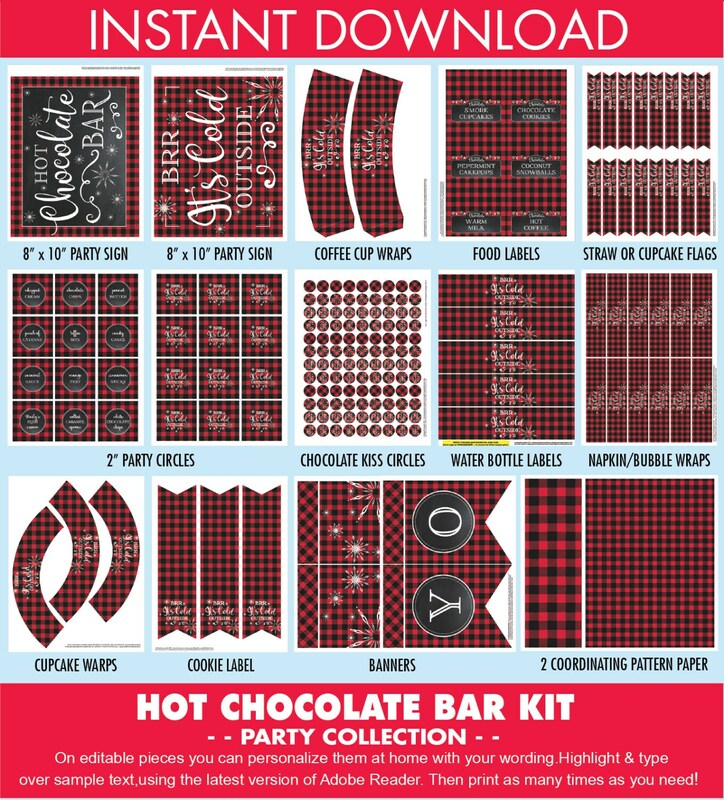 You'll enjoy hosting your Hot Chocolate Bar with this delightful collection. 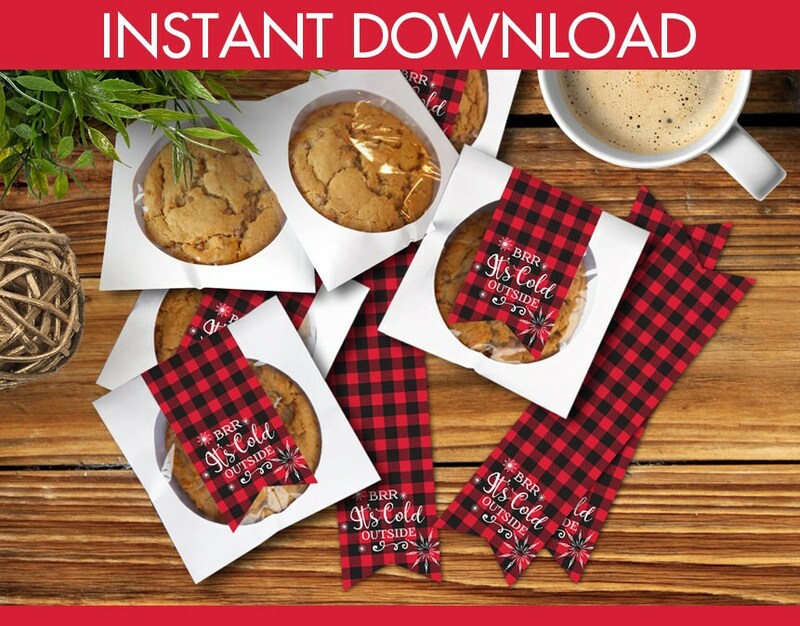 It's a great addition a Christmas party, Cookie Exchange, Ugly Sweater Party, New Years Party, Wedding, Bridal or Baby Shower, Birthday Party, or just because get together. 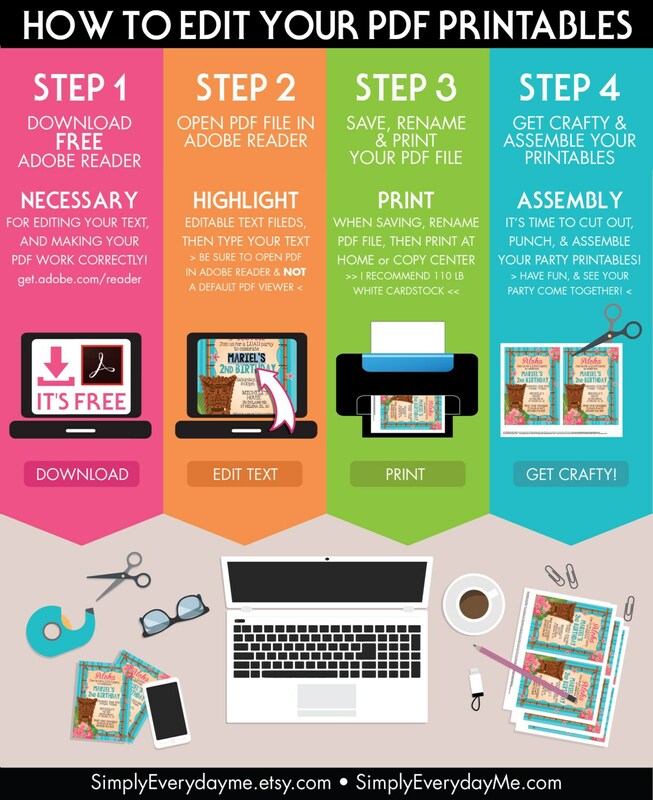 Just open the PDFs with Adobe Reader and simply print, trim, and share... it's that easy! 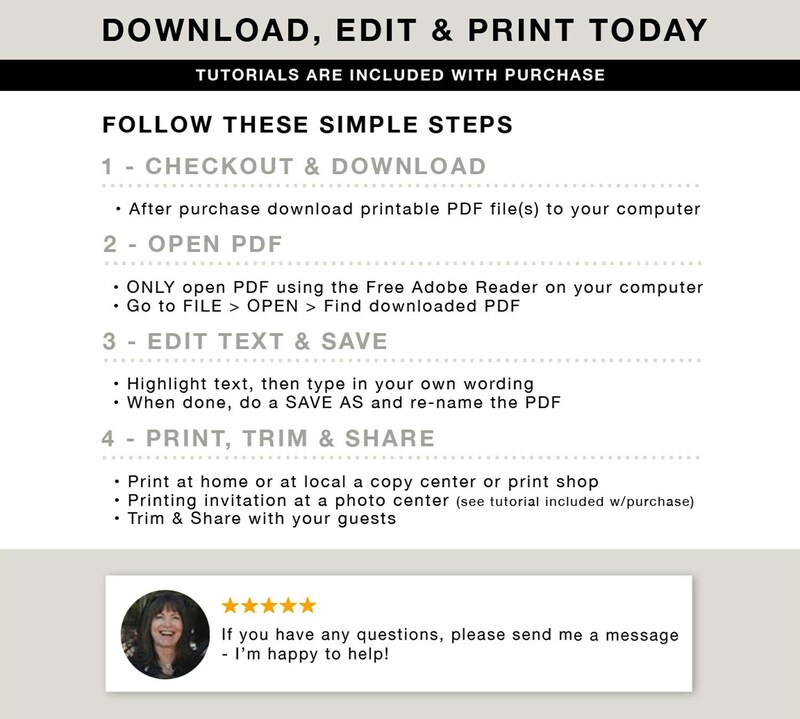 → Fonts used in PDF Printables are embedded, but is recommended to download & install all fonts. Cute party set for a hot chocolate party. I used it for a ski weekend in the mountains.